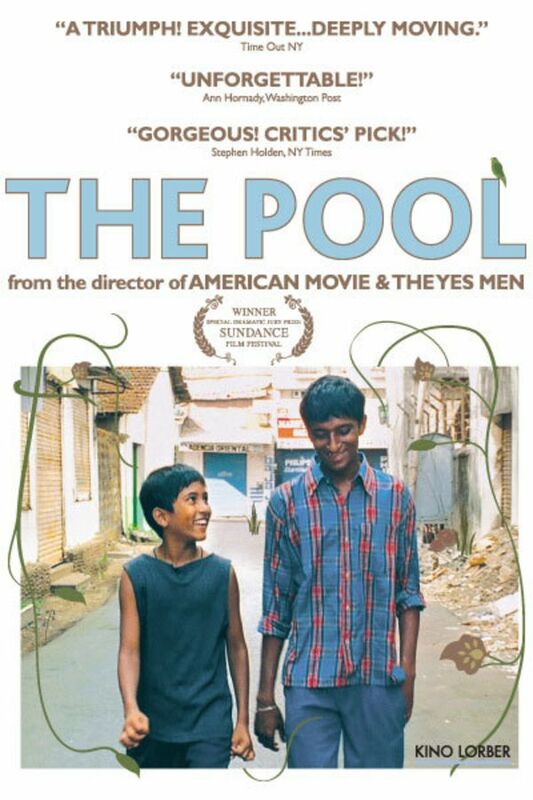 Documentarian Chris Smith’s (AMERICAN MOVIE, THE YES MEN) foray into narrative storytelling is the India-set Hindi-spoken THE POOL, following Venkatesh, a young janitor. He sees from his perch in a mango tree a luxuriant garden and shimmering pool hidden behind a wall. Not content to simply dream about a different life, Venkatesh is inquisitive about the home's inhabitants — indeed, about the world around him — and his curiosity changes the shape of his future. Filmed with non-professional actors, in a language he didn’t speak, filmmaker Chris Smith developed an on the fly style for the film – directing through a translator, editing the film together in real time and developing new scenes to compliment what was organically developing daily. The spontaneity and energy shows on-screen in actors, atmosphere and style. The film is a treat. I was slowly drawn into the narrative and the characters. The development of the story was unexpected, and the ending both surprising and yet inevitable. The story centers around an open, inquisitive and bright young man and the development of his capacity for compassion. He is at a stage of life where his decisions determine the nature of his character and the course of his future. Really a beautiful story, and it is touching to watch the nobility of his spirit emerge. Incidentally, aside from sanitation issues, watching this film left me longing to spend time in India. Highly recommended! A beautiful movie on human compassion and sacrifices. It is definitely impressive that Chris Smith directed the movie without any knowledge of Hindi, the language that he was shooting in. enjoyed it as a getaway mood piece, and also the sense of place and unpretentious.